We're down to the last 3 weeks of Summer, and enjoying every minute! Here's a layout with a few pics I took last week. Off to enjoy another day! Great page! I'm missing summer already as today is the first day of school for my GULP 7th grader! I love the color combo on the kraft background. Such a fun page. Love the photos on the angle too. Great page! LOVE that - the photo walking on the beach is amazing!!!! I miss the beach this summer! Thanks for sharing. what a fun layout! we are down to the last 4 days of summer! we are sooo sad! I love that color combo too Mary Ann, and that pink CP is one of my favorite patterns from their new lines!! 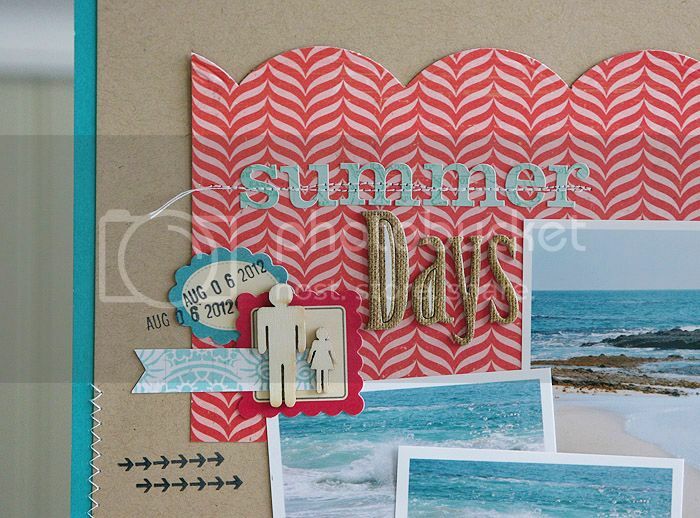 :) Love the beach photos with this color scheme!